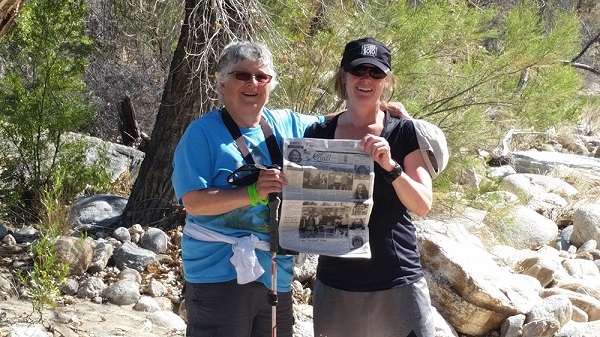 "The Quill" traveled to Arizona with Tricia Owsley (Columbia, MD) and Cindy Owsley (La Harpe). This photo was taken at Sabino Canyon National Forest. The highlight of the trip was when Tricia completed the 50 mile Antelope Canyon Ultra Marathon on 2/24/18!